Look at the focus! I am so impressed with my student's landscape paintings. We have been working on them for a couple of nights and they are really starting to take shape now. 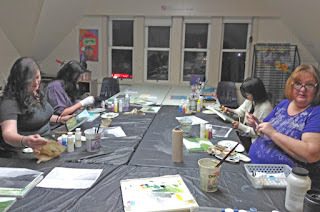 This class we are working on abstract painting as well as realism....covering all the bases!